Established in 2001 in Japan, Support Gyoseishoshi Law Firm (サポート行政書士法人) is a leading legal firm composed of experienced staff specialized in a variety of business and immigration affairs. Our multilingual team aims to minimize the frustration and confusion associated with the various administration processes required for working and living in Japan, taking care of all administrative procedures from start to finish so that you have time to focus on what is really important to you. Our support services are targeted at both corporations and individuals, with our areas of specialism including business licenses, visas and the establishment of corporations. 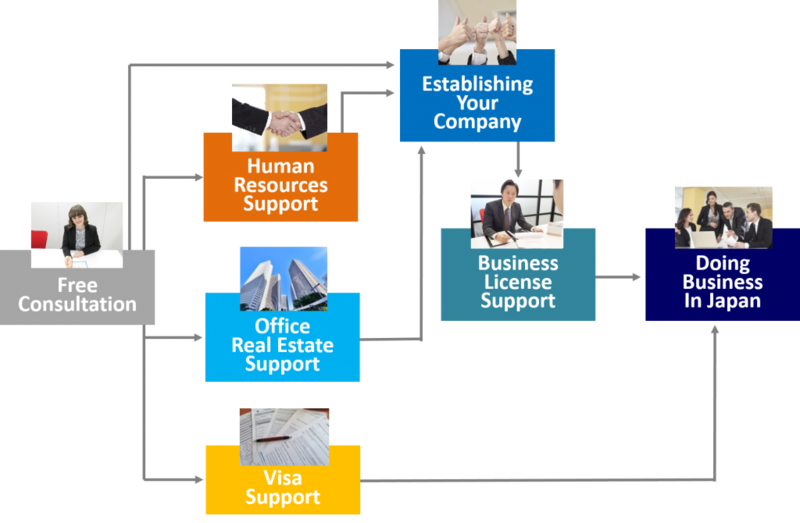 For those looking to set up business in Japan, our flagship All Inclusive Support service links our various spheres of expertise to provide a service tailored to your specific needs. please contact us to arrange a meeting at one of our offices. Our office hours are from 9:00 to 18:00, but we can also arrange appointments outside office hours where necessary. Meetings over Skype are also possible.